This is a track on Kate Bush's album The Red Shoes, which came out in 1993. It's today's song of the day. 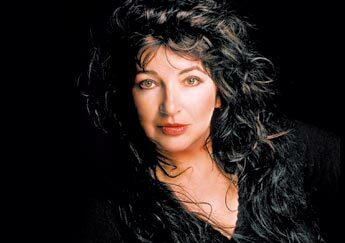 Kate Bush has released one great song about Christmas, but unfortunately not as a properly launched single. She did, many years earlier, release a proper Christmas single, but it, well, is a bit of an acquired taste, which is par for the course with the British singer, who has done things her way throughout her career (including taking a dozen years - 12! - to make her last record). I love the song. It's short, charming, like a strummed gem perfect for late on a pre-Christmas night. I have a different reaction to Bush's one and only official Christmas-oriented single, December Will Be Magic Again, which was released in time for Christmas 1980, but was recorded a year earlier, as she set out to make songs like Babooshka and Army Dreamers. The song has that feeling, and the video below doesn't help it. This is the 10th posting in a musical advent calendar I'm compiling this year, consisting of songs and albums I'd recommend. I'll have another one tomorrow, and each day through Christmas Eve. I bought Kate Bush's Aerial a couple of weeks ago, and have played it intermittently since. It's actually worth playing more frequently ... it's good, and worth a long, long wait. I've always liked Kate Bush (I admire anyone who can turn a James Joyce soliloquoy into a hit song), but not with the passion of a lot of her fans. My colleague Kathryn described it well, of how Bush appeals to what she called "women of a certain age" ... that is, women who were young when Bush started out, and connected to her lyrics, music and/or image.